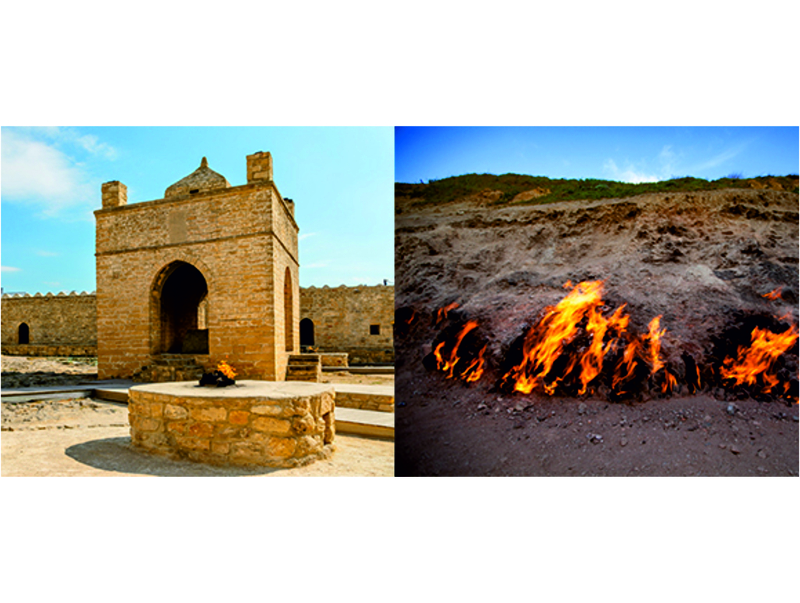 Ateshgah - The fire-worshipping Zoroastrians left their mark at Ateshgah, where the Fire Temple amazes visitors with its spouts of flame. 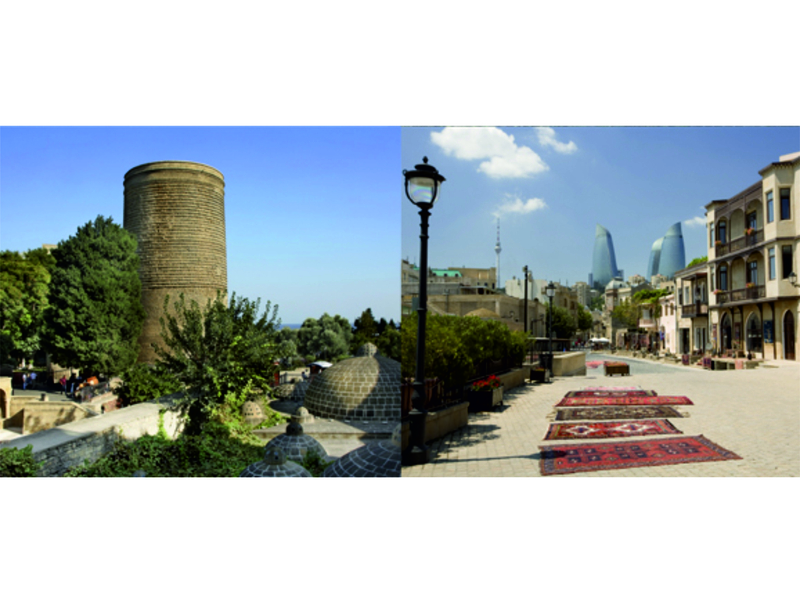 The present temple only dates from the 19th century, though, as the site was adopted by the Hindu merchants trading in nearby Baku. You’ll be amazed by Yanar Dag (Burning mountain), which is a hill that has been blazing away with a 10 meter wall of flame since the time of Marco Polo. It’s no wonder people here used to worship fire! UNESCO heritage Gobustan Rock Art Cultural Landscape covers three areas of a plateau of rocky boulders rising out of the semi-desert of central Azerbaijan, with an outstanding collection of more than 6,000 rock engravings bearing testimony to 40,000 years of rock art. The site also features the remains of inhabited caves, settlements and burials, all reflecting an intensive human use by the inhabitants of the area during the wet period that followed the last Ice Age, from the Upper Paleolithic to the Middle Ages. 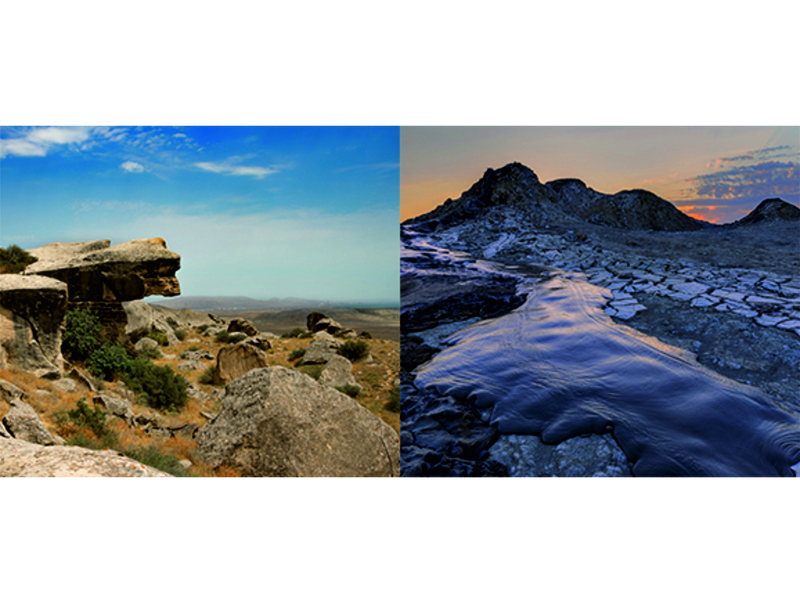 Azerbaijan is home to about half of the world’s discovered mud volcanoes, and we can easily visit many of them from Gobustan. These geological oddities bubble and burp constantly, producing endless streams of liquid mud. Volcanic clay and mud are used in the treatment of diseases related to the nervous system, skin and rheumatism.